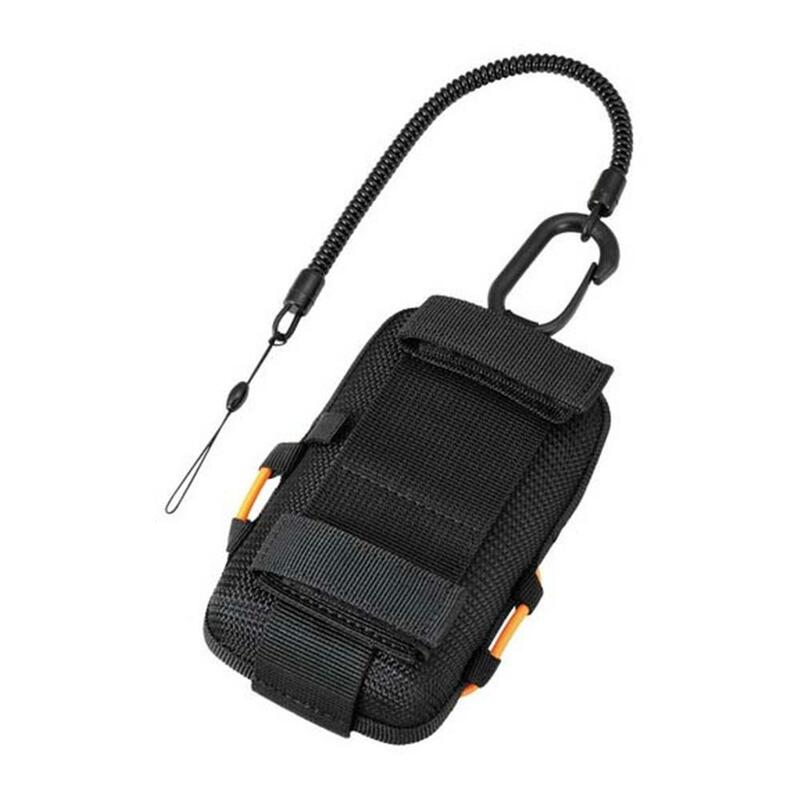 Sport Holder for attaching a Tough camera to a back pack, belt or commercially available chest harness. Compatible with the TG-870/860/850 and the TG-4/3/2/1. Designed so that the function buttons on the top, front and side of the camera are exposed and accessible. Holder comes with a belt and can be worn either vertically or horizontally. 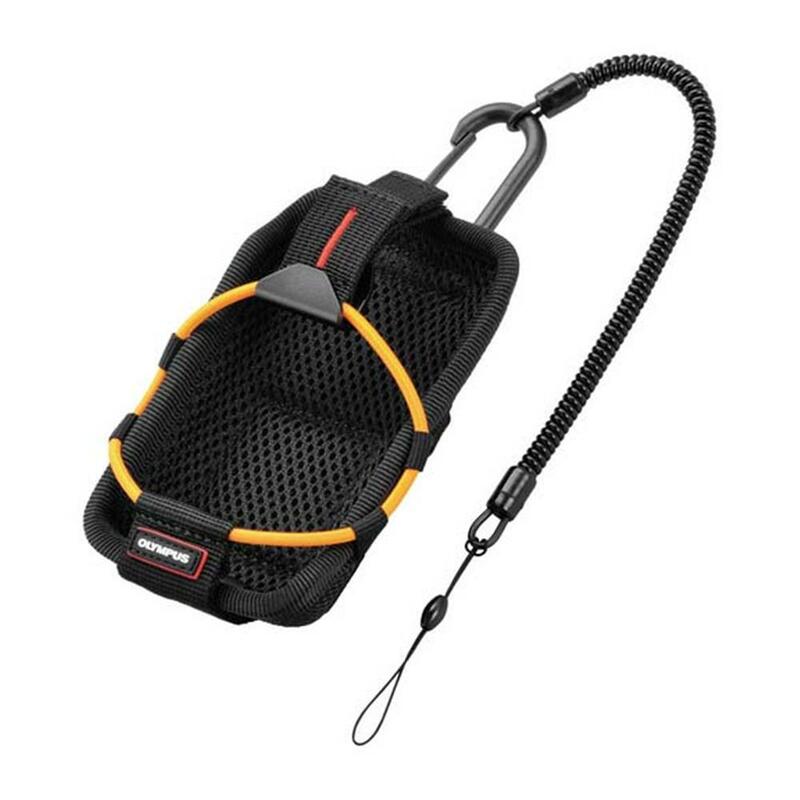 A carabiner and spiral cord are also included to prevent dropping. 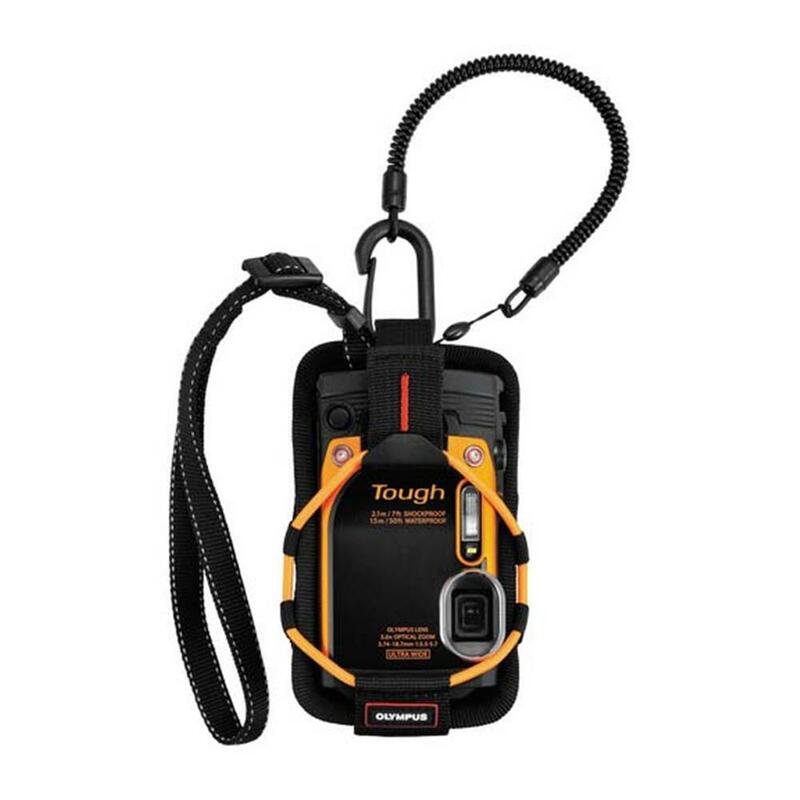 Equipped with a spiral cord and carabiner to prevent dropping. Function buttons on the top and side of camera are exposed and accessible.